Make noise as they roll out. Great for parties and treat bags. 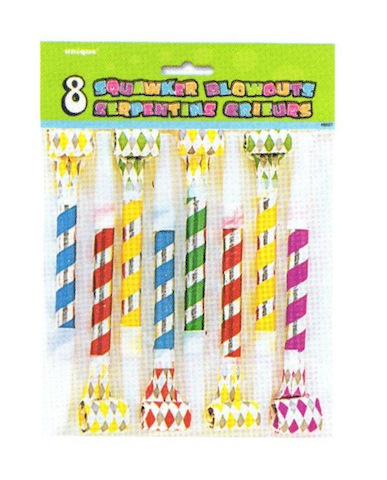 Each pack contains 8 blowouts.